What a way to go out in front of the fans at home. 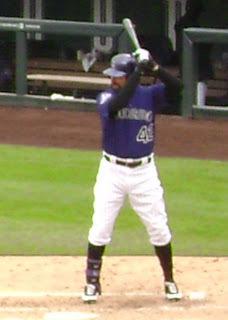 Todd Helton has been a class act who helped the Rockies make it to their first world series in 2007. 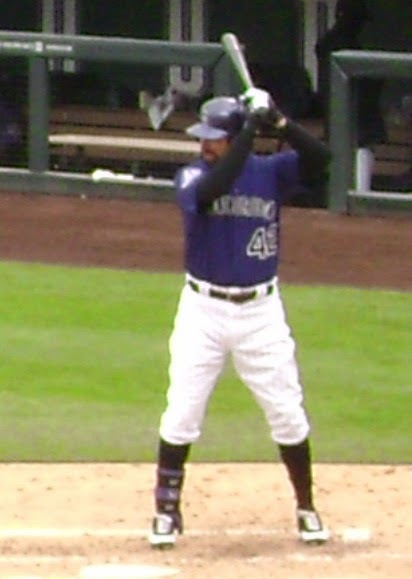 He is also a throwback player who played for one team his entire 17 year career. Some forget that he was also a quarterback who backed up Peyton Manning. What a career. Checkout his lifetime stats here. Check out video of his home run here. Poll: Will The Pirates Make The Playoffs? Things are looking a bit more tense today for the Pirates. The odds are on their side, but there have been some major collapses over the past few years. Vote now on what you think. 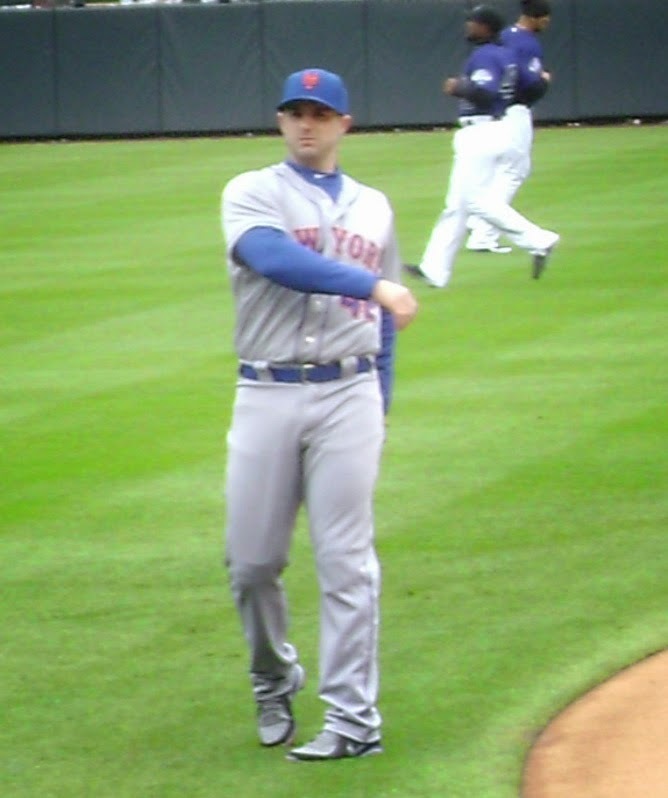 It was great to see David Wright hit a home run in his return to the lineup last night. In this day and age of over protecting players it would have been easy for the Met's to shut him down for the year. It seems that Wright was not buying into that method. His leadership has been second to none as the team has struggled through another loosing season. He is also one of the main reasons why fans show up to watch the Met's play. So what can he get done over the next week and a half? He should be able to get a feel for what players will work into the Met's future. Management has gone to Wright before making many major decisions, so I'm sure they will ask him who's in and who's out for next year. With all of the pennant chasing going on, I may take some time just to check in on the Met's. Travis d'Arnaud finally added another bright spot to his first run in the majors today with a game winning single. While only hitting .169, d'Arnaud has shown both hitting and defensive skills. His descent to the major has been a bit rushed due to the Met's lack of success. This youth movement should work out in the long run. The guys that are losing together now, should be winning together in 2-3 years. As David Wright is scheduled to come back on Tuesday, the Met's are looking to finish the season strong to set a tone for 2014. d'Arnaud seems to have the make up of a future team leader. Who know's, maybe this is the first of many game winning hits? The wild card race in the AL this year may end up being the best chase to end a season ever. Having four teams within 3.5 games has made for some great baseball. This has also made for some good games from teams who have been out of it for months. It's really hard to make a prediction on who will end up with the two spots. Tampa seems to be in some real trouble, September is not the time to slump. I also get the feeling that Texas is in some big trouble as well. I have a hunch that the baseball God's will line up a New York versus Baltimore one game playoff. With the recent bad blood that has been show between these two it would set up a classic one game show down. Despite injuries the Yankees have continued to battle. One other possibility is that the Royals put it all together over the last two weeks of the season and face off with the other last team standing. In past years we have seen teams get hot in the last two weeks and go on a world series run. With a young team and a strong bullpen K.C. might have enough left in the take.